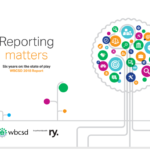 The World Business Council for Sustainable Development (WBCSD) in partnership with the Yale Initiative on Sustainable Finance and the Global Reporting Initiative (GRI) released “Materiality in corporate reporting,” a White Paper focused on corporate disclosure of environmental, social and governance (ESG) issues in the food and agriculture sector. The paper highlights how food and agriculture companies decide what’s important (i.e. 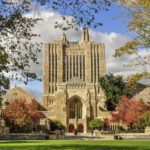 material) when considering ESG issues in decision-making. 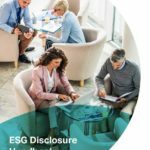 To date, there’s no agreed upon process for deciding which ESG issues might be most material to a company. This is a problem because without such processes, companies can’t demonstrate the potential impacts of certain ESG issues to investors in a comparable and decision-useful way. Better processes for identifying, understanding and disclosing ESG-related risks and opportunities will help change the way reporting, decision-making and financial allocation work to achieve sustainable outcomes, such as the Paris Agreement and the Sustainable Development Goals. The goal of this research is to help develop those processes. 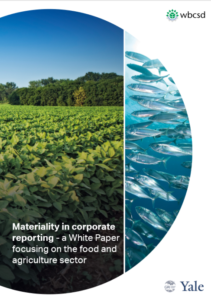 Material ESG issues in the food and agriculture sector have widespread implications for decision-making and the future of sustainability. This is because the sector plays a critical role in the most pressing environmental and social challenges of our time including climate change, land degradation, health and food security. The white paper focuses on 96 publicly traded companies in the food and agriculture sector. This research and the materiality roundtable series support the next phase of this project: developing guidance to help companies identify decision-useful information for disclosure to an audience of investors.